Recommended for parents and grandparents of children ages 0-5! During this one and a half hour workshop, clinical psychologist, travel writer (and parent and grandparent) Roni Beth will demonstrate the benefits of pretend play and how Paris can be a resource for parents in promoting it. 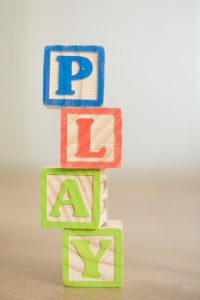 Parents and caregivers will find out concrete ways they can use pretend play in the lives of their preschoolers, as well as the numerous benefits of imaginative play. Roni Beth Tower, PhD, is a retired clinical, research and academic psychologist. She holds a PhD from Yale in clinical psychology, was a Diplomate of the American Board of Professional Psychology, taught at Yale and Columbia, and has published articles on child development and imaginative play. She is also the author of the award-winning memoir, Miracle at Midlife: A Transatlantic Romance, and the blog “Life, Refracted” on PsychologyToday.com, you can read more of her work at BonjourPartis.com, including the recent piece on “Touring Paris with a Teen or a Tween”.